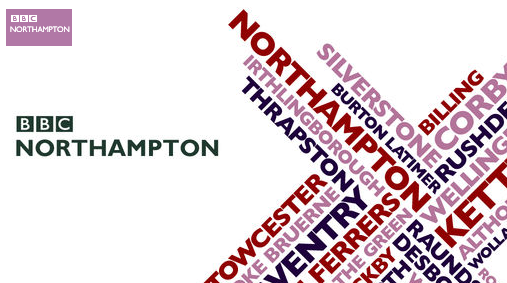 A quick mention today to let you know about my first ever radio appearance yesterday on Vanessa Kimbell‘s BBC Northampton Kitchen Garden show. Our first of two shows went out live and you can listen to us from around 1 hour 07 mins into this iPlayer clip (only guaranteed to be available for the next 7 days)…. after that I will investigate a longer term clip I can display and there is also some video footage to come. Yesterday we were checking out the reality behind how different stand mixers compare with the humble hand held electric mixer when making cupcakes and whisking egg whites. Shown above from left is Vanessa Kimbell who presented the show, Helen of Fuss Free Flavours who flew the flag for the Kenwood stand mixer, Julie of Angelina Cupcakes who used the iconic Kitchenaid stand mixer and finally myself (still looking slightly wan after this week) who tested the hand held electric model. Without wanting to spoil it for you – it was a bit of a shock result. I first “met” the bubbly Vanessa on Twitter and although we’ve chatted on the phone several times this was the first time we’d met. I’ve been one of several recipe testers for Vanessa’s new book Prepped! which is due out early this summer. It’s a cookery book for time short foodies in which each recipe is links to others in the book that you will already be “prepped” for after you’ve made the first one. I think it’s a fabulous concept for family cooking – Ted has even been demanding Vanessa’s lavender ice cream from my freezer. 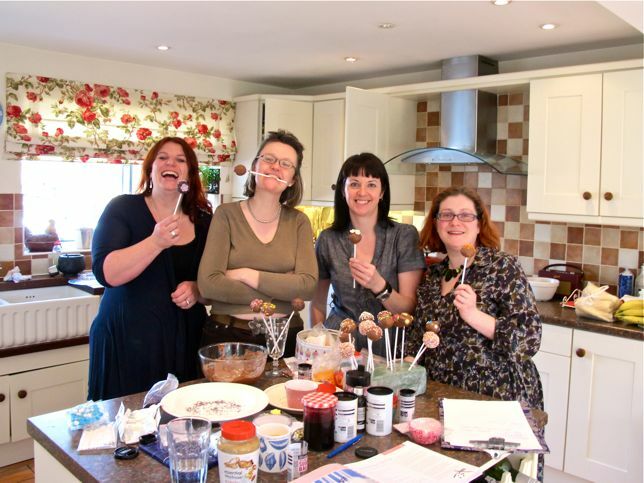 After the “mix off” we recorded a second show about cake pops as shown above which will be broadcast in a couple of weeks time. I’ll let you know when. Sarah – it was such fun ! .. and I was really surprised by the results !! Sarah…you had so much fum lady ;-)…shld catch up soon…another potluck maybe.. Sounds like a fabulous day, although quite scary. I will try and catch up with the programme before it disappears off the airwaves.